Leather sissy bar bags are built to last with reinforced stitching, heavy duty straps, and heavy duty zippers. It can be expanded for more room. This type of bag can fit any type of bike due to the many straps provided, it has two additional straps that will allow the bag to be converted into a backpack when off the bike. This roomy bag will carry everything you would wish to carry on a short or long ride. Shop the best leather sissy bar bags online for the latest designs and affordable prices. All you need to do is just browse through our wide collection to find one that suits your needs. They are available in different sizes and designs to fit a variety of needs, whether you are on a weekend trip or just want to spend your afternoon away from home, this bag provides a great way to store your needed items in a secure and convenient location. 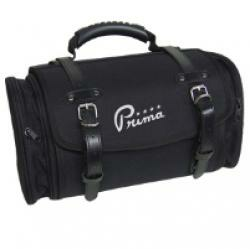 This is a high-quality bag that is sure to give you years of reliable service. It’s an amazing set that meets and even surpasses the needs of even the most discerning packers. Shop one with us and experience all these benefits. Scooter saddlebags are a great addition to your scooter as it helps you carry your shopping or other essentials items easily. They are adjustable to fit most scooters as they have adjustable straps that will sit into the width of your seat perfectly. They have a rain cover to keep your luggage safe in case it rains, and some are fitted with a shoulder strap so it can be used as a normal bag. Are you in need of scooter saddlebags and you have searched everywhere only to be turned off by the prices? In our online shop is where to find the best deals for scooter bags. We have a variety of scooter bags with different designs, sizes, and colors from which you can choose from to suit your needs. In the current economy, it’s vital to get most you can for your shopping dollar, shop with us and you will never regret because our scooter saddle bags are of high quality and the price is fair. Our scooter saddlebags have the following features; they are adjustable to fit most scooters, it has zippered compartments with buckled covers watertight compartments, and is made of water-resistant polyester.